"Diseases and health management in aquaculture production: challenges in the salmon and shrimp industries"
Dr. Mardones is Assistant Professor at the Universidad Andres Bello since September, 2015. His research involves the design and conduct of epidemiological investigations to evaluate risk factors related to threats and diseases affecting farmed species in aquaculture. From 2014 through August 2015, he was postdoctoral fellow at the Universidad Austral de Chile and researcher at the Pontificia Universidad Católica, Chile (PUC). Previously, he has worked for almost seven years at the UC Davis Center for Animal Disease Modeling and Surveillance (CADMS) since 2007. Dr. Mardones is a specialist on infectious disease epidemiology that during his PhD program obtained 7 graduate student awards for his innovative research, and presented >25 papers in the most important meetings of the field. He has been the chair and member of a number of organizing and scientific committees in leading event at national and international. He is president of the International Society of Aquatic Animal Epidemiology and past executive secretary of the Ibero-American Society of Preventive Medicine and Veterinary Epidemiology. Dr. Mardones is Associate Editor of the Frontiers Journal on Veterinary Epidemiology and Economics. He is an advisor on epidemiology for Chilean Animal Health Service, Chilean Salmon and Trout Growers Association, and FAO. 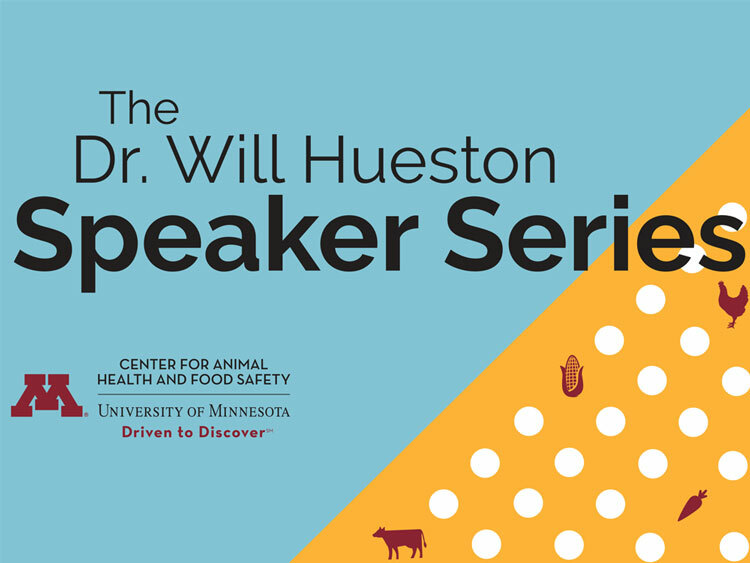 The Dr. Will Hueston Speaker Series features key speakers in the areas of animal health and food safety. The Speaker Series was named to honor the legacy of Dr. Hueston, University of Minnesota Professor Emeritus and the first director of CAHFS, and an advocate and champion of inter-disciplinary collaboration in the areas of public health, epidemiology, capacity building, and policy.